Why do people turn to personal connections to get things done? Exploring the role of favors in social welfare systems in postwar, postsocialist Bosnia and Herzegovina, this volume provides a new theoretical angle on links between ambiguity and power. It demonstrates that favors were not an instrumental tactic of survival, nor a way to reproduce oneself as a moral person. Instead, favors enabled the insertion of personal compassion into the heart of the organization of welfare. 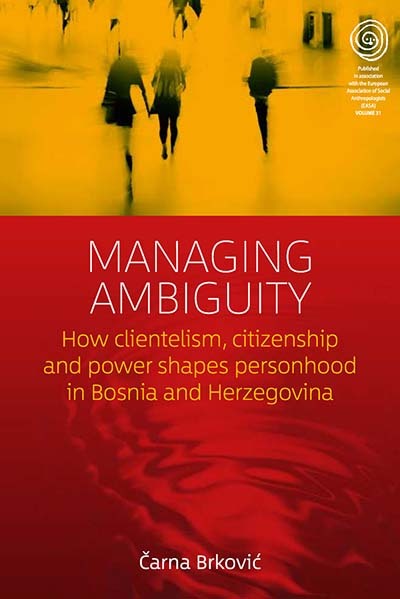 Managing Ambiguity follows how neoliberal insistence on local community, flexibility, and self-responsibility was translated into clientelist modes of relating and back, and how this fostered a specific mode of power. Čarna Brković is a Postdoctoral Researcher at the Graduate School for East and Southeast European Studies, Regensburg. She co-edited Negotiating Social Relations in Bosnia and Herzegovina and won the 2015 SIEF Young Scholar Prize.